Johnson & Johnson sought to tell their story of medical innovation for consumers and high end medical providers, through a cultural exhibit that communicated family values and a deep presence in China. 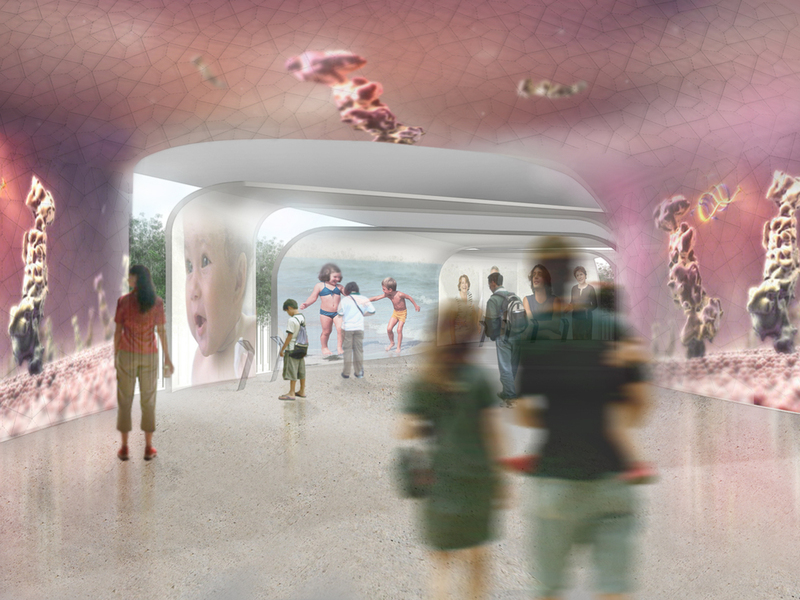 Our team members conceived and realized a place, which included a VIP rooftop bar and lounge, technology driven exhibits, creating and presenting short films, and exhibiting a portion of the Terracotta Warriors, an iconic Chinese cultural treasure. 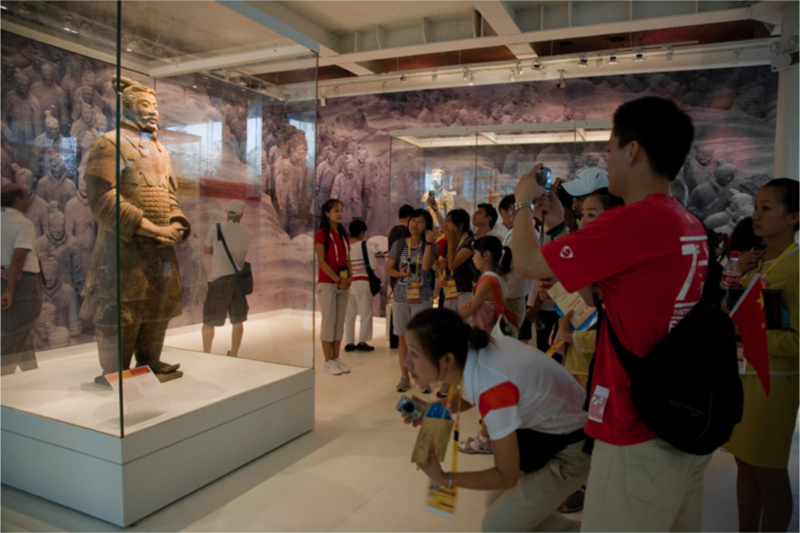 The project’s challenges included maintaining strict curatorial standards for the artifacts and planning circulation to handle two thousand visitors per hour during the Beijing Olympics. The designed experience began by passing through a bamboo forest as a portal from the surrounding concrete jungle. Once inside the visitors encountered a series of technology driven installations and small screening areas, which furthered the company’s narrative. Then the guests entered a large theater for a film introduction to the Terracotta Warriors, ending their visit by viewing a selection of the artifacts on display, as a representation of the company’s power and connection to China. Beyond the creative and practical challenges, project management required extensive interaction with the Chinese government as well as sourcing and overseeing local Beijing labor and partners.